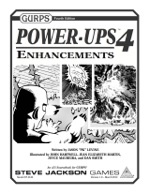 This is a one-stop compendium of all general enhancements introduced after the Basic Set was released – over 50 total, including several never before seen in any other GURPS supplement! Each enhancement is classified so the GM can know if it's benign, game-breaking, or somewhere in between. Finally, you'll find a table of every enhancement – including ratings for those classic abilities. Now you'll always know which enhancements are trouble! 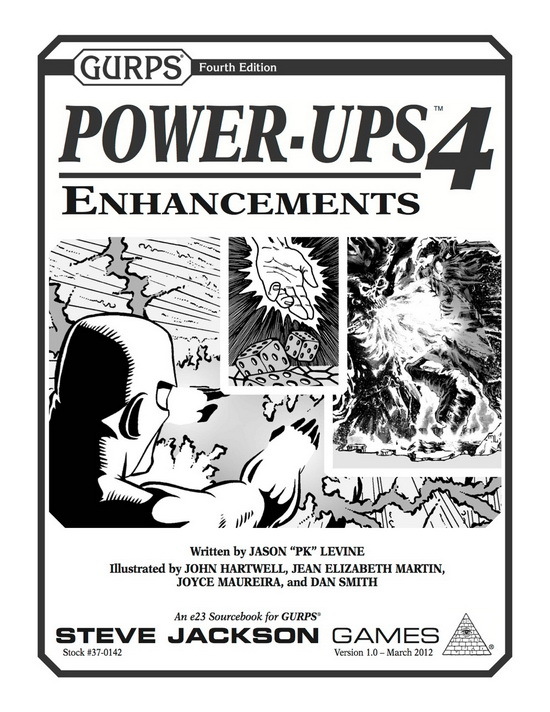 For core insight into adding awesome abilities to your game, simply jump, fly, or teleport over to GURPS Powers.